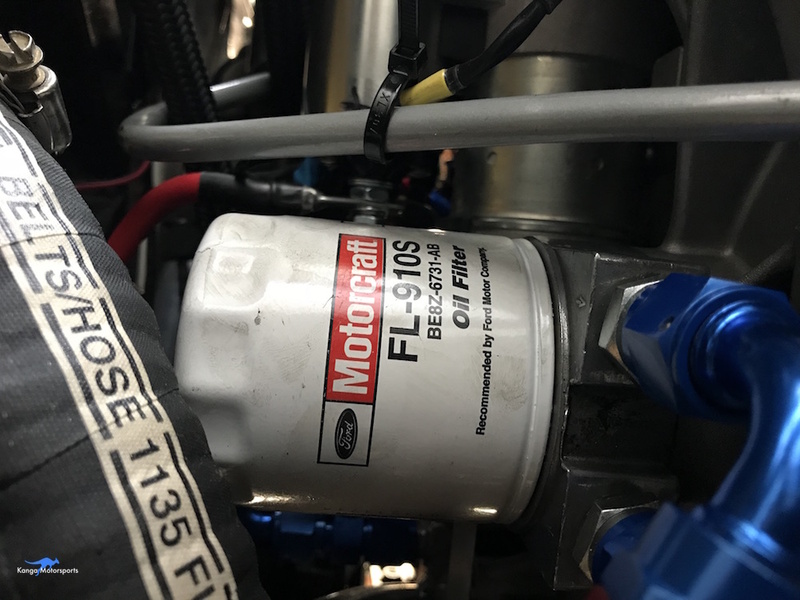 Changing the oil filter on the Spec Racer Ford Gen3 is made difficult by the position of fuel filler hose. Oil changes are an essential part of regular maintenance. For new motors an early oil and filter change is a good idea to remove particulates from the break in process. 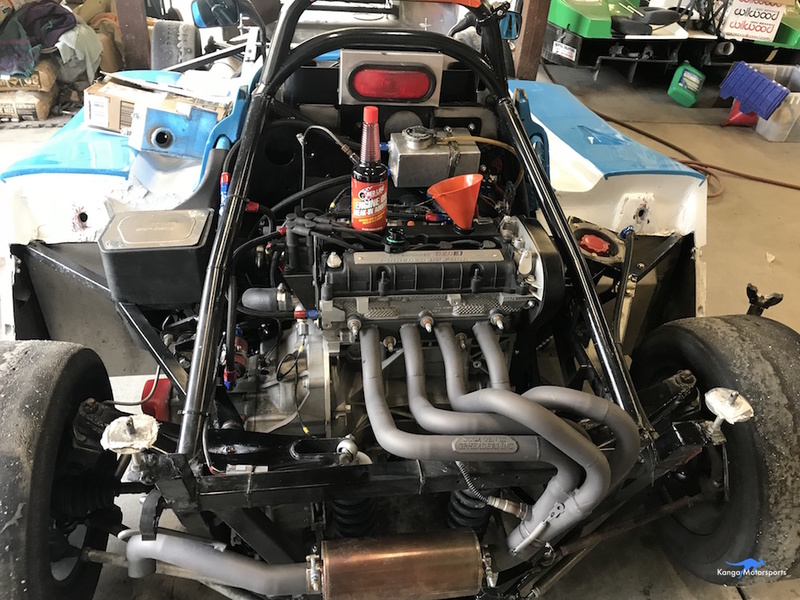 An oil change should be done after about 4-5 race weekends and/or before the start of the race season after the winter months. You can change the oil if it is cold but it will drain better if it is warm, be careful not to burn yourself. 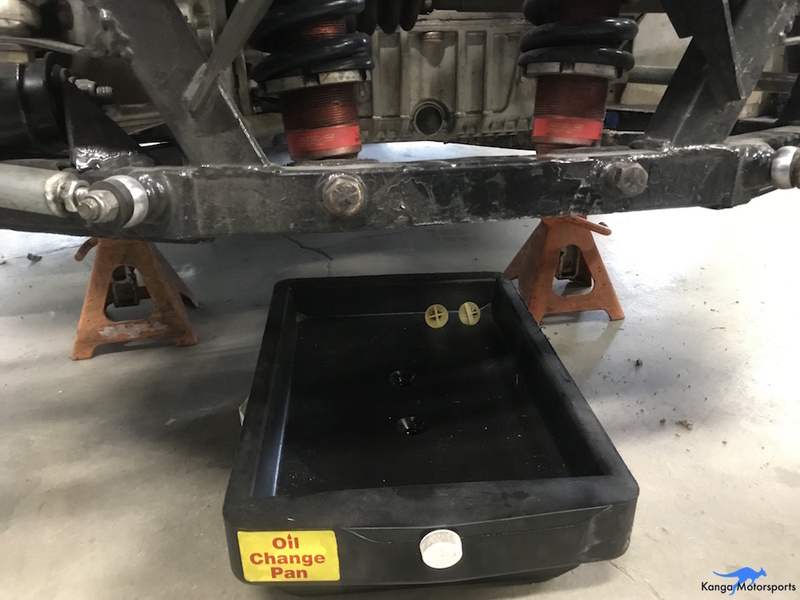 With the right size oil pan you might not even have to jack up the car to drain the oil. If you do jack up the car try to get the nose in the air as well, it helps to drain the oil pan. Place a pan under the drain plug located at the bottom of the motor on the rear right hand side of the car. Undo the drain plug with the 13mm open ended wrench or socket and ratchet. Let the oil drain, it helps to undo the oil fill cap on top of the motor for faster flow. With the oil draining, removing the oil filter from Gen3 is a lot harder than on the previous Gen2. You need to get under the car to remove it from the engine bay. In order to do so, you might have to raise the rear of the car higher. It can be difficult to remove with a standard slip on oil filter wrench or one of those rear caps type. The fuel filler hose gets in the way. I have found using a grabber type sometimes called oil filter pliers works best. Note you can damage the filter with this type and so once you start to crush it you are committed to removing the filter. To spin the filter off you might have to pry back on fuel filler hose to provide enough clearance to undo all the threads. Minimize the mess by letting the filter drain into a catch pan first before removal from the engine bay. 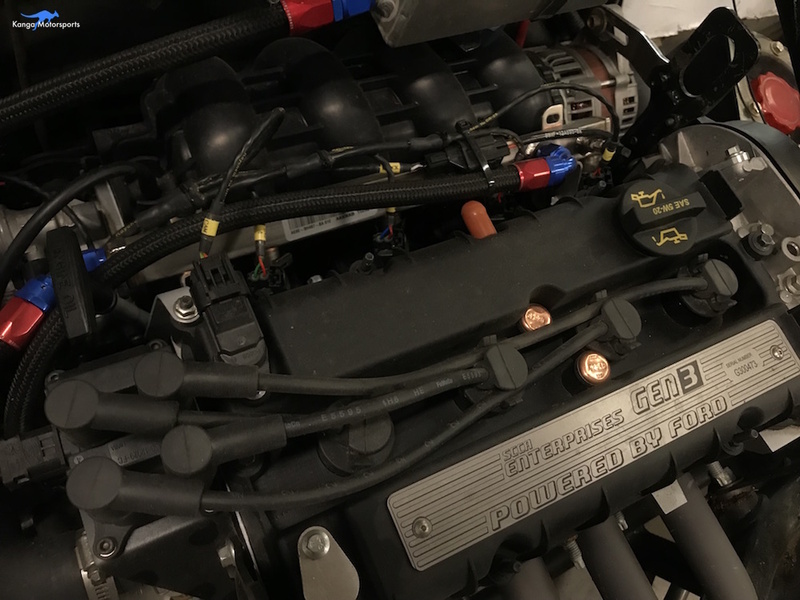 Regardless it still has a tendency to get oil over everything in the area including the oil cooler lines and fuel filler hose. It is nice to have some rags and cleaner ready to attack the mess as it happens. While the last of the oil drains out, prepare the new filter by rubbing a little fresh oil over the filter seal with you finger. Remove the old filter from the engine bay. Once the oil has stopped draining replace the drain plug and tighten with the 13mm open ended wrench or socket and ratchet. Don't crank down on it, just make sure it is snug. Install the new oil filter. You might have to pry back the fuel filler hose in order to slip it onto the threads and get is started. Be careful, you really do not want to cross thread it. Hand tighten into place and snug down with a quarter turn. Like the drain plug you don't have to kill it. Open the upper oil cap and fill with approximately 4 quarts of fresh motor oil. Use a funnel to prevent any spills and avoid getting grime into the spark plug holes. On the first couple of oil changes you might consider adding in some break in additive. Check the oil level with the dipstick and fill until full. SCCA Enterprises has recommend making sure the oil level is at the max mark or above. Replace the oil cap when done. Remove the oil pan and dispose of the used motor oil and filter appropriately.